Dr. Stanley Vollant is an Innu who grew up in the Côte-Nord region of Quebec. At a young age, he was exposed to the traditional teachings of his grandfather, which were marked by the importance of community values. 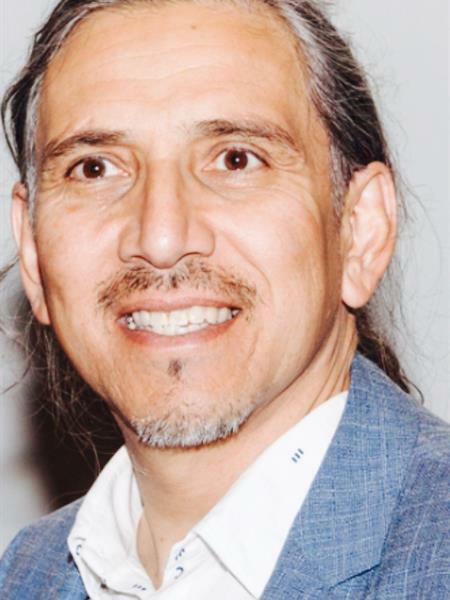 He received his degree in medicine from the Université de Montréal in 1989 and his specialization in general surgery in 1994, thus becoming the first indigenous surgeon in Quebec. His trajectory shines through its undeniable exemplarity. Professionally speaking, we can talk about his term as President of the Quebec Medical Association, representing the 9000 physicians of the province. He also served on the Executive Board of the Canadian Medical Association. In addition, he has served as a member of the Health Council of Canada, the Science Advisory Board of Health Canada, the Ministerial Advisory Committee on Rural Health in Canada, the Quebec Health and Wellness Council, and the Ethical Commission for science and technology of Quebec. Dr Vallant has also made the wonderful choice of promoting healthy lifestyles among the First Nations. He has been awarded several distinctions: from the Association for First Nations and Inuit Suicide Prevention (2013); the Quebec Volunteerism Award (2016); the Québec Ministry of Labour, Employment and Social Solidarity, Medal of the Lieutenant Governor for Exceptional Merit (Gold) (2017). He is also Knight of the National Order in Quebec. We would be remiss not to mention the documentary “Stanley Vollant: de Compostelle à Kuujjuaq” in which he explains how he decided to improve his people’s living conditions. In 2016, after his “Innu Meshkenu” walk through the territory of the First Peoples, he founded the organisation “le Chemin des Mille Rêves” (the path of a thousand dreams), known in Innu as the “Puamun Meshkenu,” inspired by the holistic vision of the wheel of well-being of indigenous peoples, used according to the four dimensions of well-being: the mental; the physical; the emotional; and the spiritual. These four approaches form a comprehensive, balanced whole, calling for cyclical intervention. The mental level inspires through models of perseverance; the physical level improves health; the emotional level brings together communities and generations; and the spiritual level promotes indigenous values and cross-cultural understanding. Dr. Stanley Vollant practices today at the Notre-Dame community hospital in Montreal. He plays a unique role among his peers through an innovative approach in health among indigenous populations. His inclusive aims empower indigenous peoples so that they may make their own path of a thousand dreams, realizing their full potential.